When you feel as though you’ve outgrown the playground you’ve been on for a while and find yourself in search of bigger, more serious adventures and exhilarating opportunities, the Nissan Titan is proving to be the perfect fit for many. The full-size pickup truck comes in 3 bodies; Single Cab, Crew-Cab, and King Cab – each with a variety of trim levels: S, SV, Pro-4X, SL and Platinum Reserve. Bed lengths for the 2019 Nissan Titan come as 5.5-, 6.5-, and 8-feet for the Single, Crew, and King Cabs, respectively. Unique exterior lines and angles, along with an upright grille in the middle of tall headlights help distinguish the Nissan Titan from other pickup trucks. Available 2-tone paint options on select trims are other distinguishing factors with the 2019 Nissan Titan. Exterior chrome and alloy wheels come standard on the SV trims and higher. Inside, the Nissan Titan offers great space, comfortably seating up to 6 people. The standard bench seat on the SV trim features an optional 8-way power seat, while crew cabs offer optional front bucket seats separated by a large center console for storage. Cloth and vinyl seats adorn the base S trim of the Nissan Titan. Upgraded upholstery is featured on the SV trims and higher. On the Platinum Reserve, leather seating, heated front seats and steering wheels are standard. 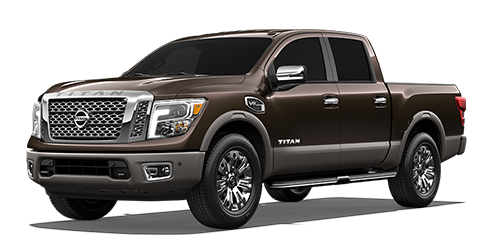 To get a better idea for the look and feel of all that encompasses the 2019 Nissan Titan, visit your car dealership Oklahoma City today. When shooting for the moon, you’ll need a lot of power to get there. With the new Nissan Titan, you get the strength to not only reach the moon but probably enough to tow it, as well. Beginning with the base S trim of the Single Cab, you’ll operate from a heaping 5.6-liter V8 that pushes 390 horsepower and 394 lb-ft of torque, all of which works well with a 7-speed automatic transmission. This muscular powertrain features a towing capacity of 9,660 pounds. While the rear-wheel drive is standard on most 2019 Nissan Titan trims, part-time 4-wheel drive is an option on all trims that are not already 4-wheel drives. With the different body styles and varying trims within each body style, it would be a great decision to come in for a test drive. To feel the strength within your grasp, visit Bob Moore Nissan near Oklahoma City today. The 2019 Nissan Titan may be the big and strong bad boy of the road, but it’s also smart; smart in that it’s loaded with a lot of tech specs to keep you connected, comfortable and rocking out as you roll on. At the base level, the standard cab S trim features a 7.0-inch touchscreen infotainment system equipped with Bluetooth® wireless connectivity, as well as newly-standard Apple CarPlay™ and Android Auto™. A USB port is not only the ideal way to stay charged, but it also serves as an additional way to connect to the infotainment system. On the Titan Platinum Reserve, a total of 12 Fender® premium speakers, including 1 in the center with a subwoofer, will produce epic sounds from all your favorite playlists. Hear and see all of what can be yours with the Nissan Titan. Visit our Nissan dealership near Oklahoma City, OK today. Safety never takes a back seat with any Nissan car, truck or SUV. And, even in a powerhouse capable of handling the most rugged terrain and extreme conditions, safety features lead the way in the 2019 Nissan Titan. In addition, all audio controls are mounted to the steering wheel, allowing drivers to keep hands on the wheel at all times. For more information about the safety features standard or available with the 2019 Nissan Titan, visit Bob Moore Nissan near Oklahoma City today. When searching for your next vehicle, make Bob Moore Nissan your first stop. When you work with the team at Bob Moore Nissan, you can always count on courtesy, respect, and knowledge. The one thing you will never experience is pressure. We understand that buying a vehicle is a big step, so we assist without any pressure throughout the entire process. We can take you for a test drive of the Nissan Titan, answer questions you may have and our finance department can work with you on all financing options. 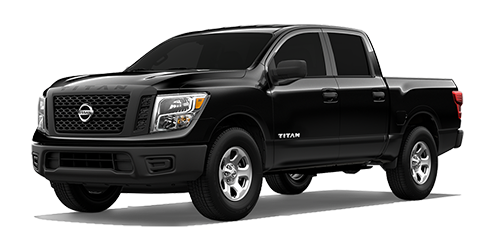 Should you decide that the new Nissan Titan isn’t just what you’re after, take a look at our extensive lineup of Certified Pre-Owned Nissan models and other used vehicles. You can get a head start with all that on our website. Time for that scheduled maintenance or need repair work to be done? Our parts and service department is manned and operated by trained professionals with one goal; get you back on the road safely, affordably, and in quick time. When it’s time to move beyond the playground and onto grander stages with Nissan vehicles, don’t trust just any car dealer. Visit Bob Moore Nissan, your Nissan dealer near Oklahoma City. By submitting this form you agree to be contacted by a Bob Moore Nissan staff member.